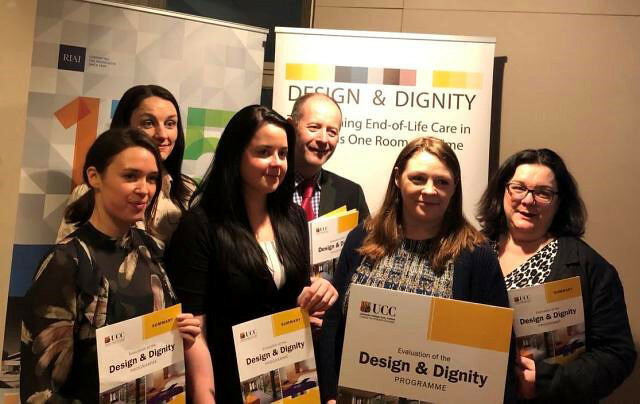 A research team from University College Cork was successful in the bid to formally review the Design and Dignity programme. The review team led by Dr Nicola Cornally and Dr Serena Fitzgerald from the School of Nursing and Midwifery at UCC involved many professionals involved in end–of–life care and education. Among them was the Revd Dr Daniel Nuzum who contributed from a pastoral care perspective. 2. to determine likely factors contributing to the successful completion and maintenance of design and dignity spaces. The launch of the review of the Design and Dignity programme.